Five performances, one weekend only! 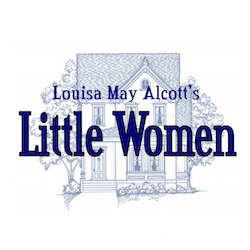 Louisa May Alcott’s novel, Little Women, is a story of four sisters, Meg, Jo, Beth and Amy March, growing up in New England during the Civil War. The play of the same name, to be presented by the Monroe Theatre Guild, was written by Peter Clapham. This popular adaptation remains true to the original story, maintaining the charm that made this novel a loved American classic for ages. The play spans the events of one year in the March family home, while Father is away at the war. The girls and their mother do their best to remain steadfast in Father’s absence, however frightening hardships arise that threaten the happiness of this loving, close-knit family. A talented cast of area women and men, between the ages of 12 and 70, will present five performances in one weekend only, in the MTG Theatre. Adult ticket prices range from $11 - $15, and students (18 and under) $8. Reserved seating tickets go on sale on March 2nd. The Courthaus Quilters Quilt Guild of Monroe will hold a small quilt show in the MTG lobby before each performance of Little Women. The Quilters’ 2015 raffle quilt, a Civil War era commemorative quilt, will be on display with a collection of vintage, handmade quilts.